31.12.2012 - I have great news for the last day in this year. I have choosen a new member of Tobrok family. Again from great kennel Tawy! This time, its the litter "B" - Wellcoming wolf Eden severu a Cater Šedý samotář. Excellent blood combination. I have choosen also a name Brera Tawy. 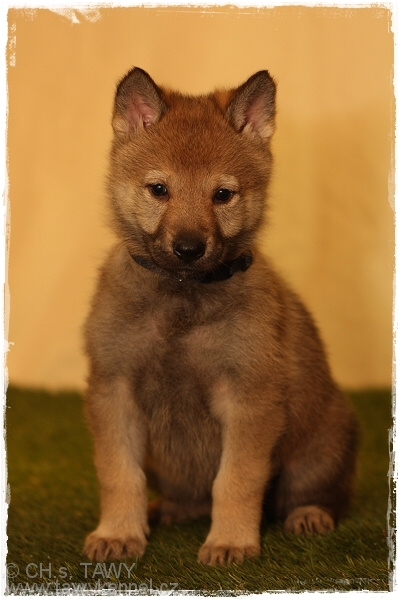 This female will be in co-ownership by a great friend, who recognizes the Tobrok principlnes of ethics and breeding. 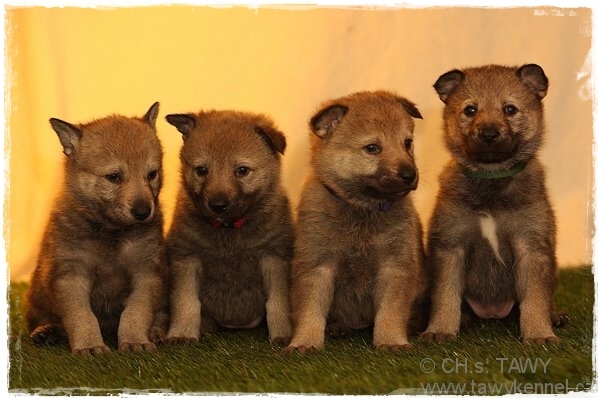 Today is the litter "C" Tawy born the pupps after Gunner Malý Bysterec and Ambra Tajemný přelud! There are 8 pupps - 3 males and 5 females. Also a big thank you to all, who voted and liked our photo in the competition of our Slovakian club, for the most beautiful winter photo of our wolfdogs. We won with the photo of Nero and Kia and won a club T-shirt and deer horns for chewing. Great gift under the christmas tree. Thanks also for many christmas wishes! 23.12.2012 - We are against shooting and hunting wolves in Slovakia! We support the idea of the VLK (VLK means wolf in slovak) group. 22.12.2012 - New beautiful photos from Miki. 08.12.2012 - i have took some photos today, but they are not so good:/ But there is one video with my crazy Akia (10,5months old now). Judgment: middle frame, suitable skelet strenght, feminine head, good eye pigmentation, in movement slightly arched loins, middle wide front, less temperament in performance. Judgment: female perfectly proportional constructed, nice head, a bit round eye, excellent colour, correct topline, good chest, both sides well angulated, good posture and movement. 25.11.2012 - We have confirmed gravidity!!! Gunner Malý Bysterec and Ambra Tajemný přelud! 24.11.2012 - New part of our pages - unpaid advertising... The advertisements for Cs wolfdogs are multiplying. Whether because of owners own failure or difficult life situation. Current offer the right menu. 23.11.2012 - HAPPY BDAY TO DEDO ROSÍK, father of our georgious breed! THANK YOU! 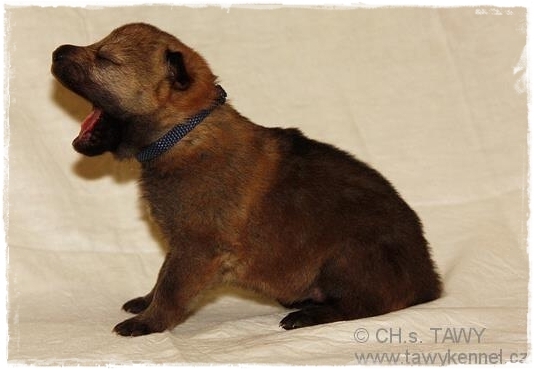 22.11.2012 - Today were the first pupps after our Nero - Gunner Malý Besterec born, in polish kennel Leśny kamrat. We are sooooo happy, congratulations and wish health to the pupps! 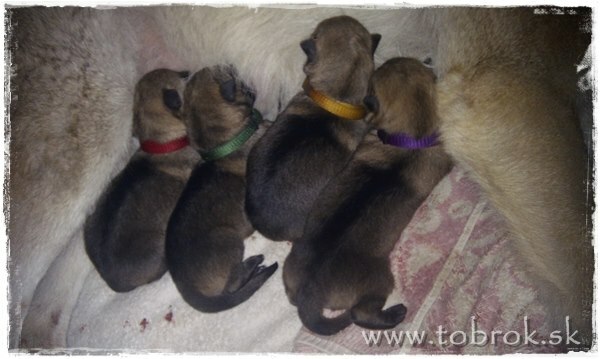 As first was a male born, exactly at midnight :o) The litters counts 6 puppies - 3 boys and 3 girl. Everyone wight around 400g. Photos as soon I have some. If you are interested in a pupp, please contat the breeder Agnieszka, Zdzisław Więcek, Wybłyszczów, ul. Partyzancka 14, 46-060 Prószków, Polska, Email: azwiecek@poczta.onet.pl, WWW: www.lesnykamrat.cba.pl. Info about the litter here on this link. 12.11.2012 - Ambra Tajemný přelud left home today. On one site, we are happy, but Nero missed her in the moment, she entered the car. We hope for many puppies! And also I have add new photos from puppy bonitation and bonitation from Horný Hričov. 10.11.2012 - We have parcipated today on the puppy bonitation in Horný Hričov. I have tried it with Kia, even when she is in the pubertal age, when she is bit uncertain with some situations. This can be seen also in the result, but im happy with the result! Was a great day! Thnaks to all! Few of the photos down. Notes: 9,5 month old female, nice eye color, typical female head, correct neck, correct chest, correct stand and movement of forelegs, correct stand and movement of hind legs, correct down line, slightly looser top line - correspond with age, slightly longer tail, correct carried, female is so far bit uncertain. 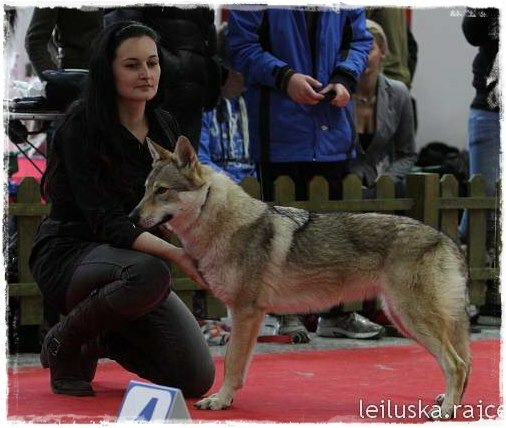 01.11.2012 - I know, my english isn´t so good, but I have tryed to translate the part of training... First there is a translation about working wolfdogs - only in pictures and part about obstacles. If is here anyone, who would like to help with correcting the translate, please contact me! 29.10.2012 - Today, our Gunner Malý Bysterec successfully covered Ambra Tajemný přelud. 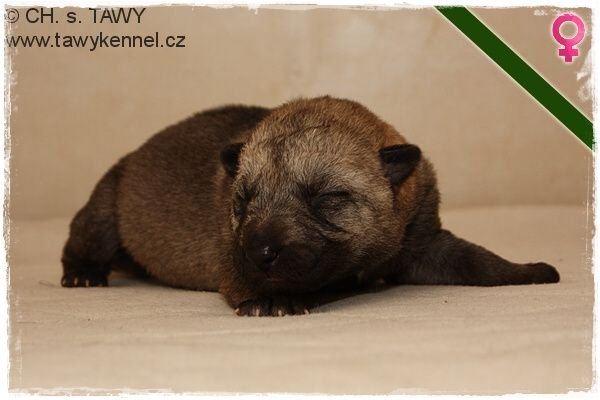 The pupps will be born in kennel Tawy, Czech republic. We have got great news! It seems, that female Asta Agarův les is pregnant with our Gunner Malý Bysterec. Pupps should be born in a month. 23.10.2012 - OK, here we are! The english part is going to be updated now! Finaly! :o) The slovak sites are now fully corrected from gramatical mistakes (hope so! :D) and now, we can start with the english part. 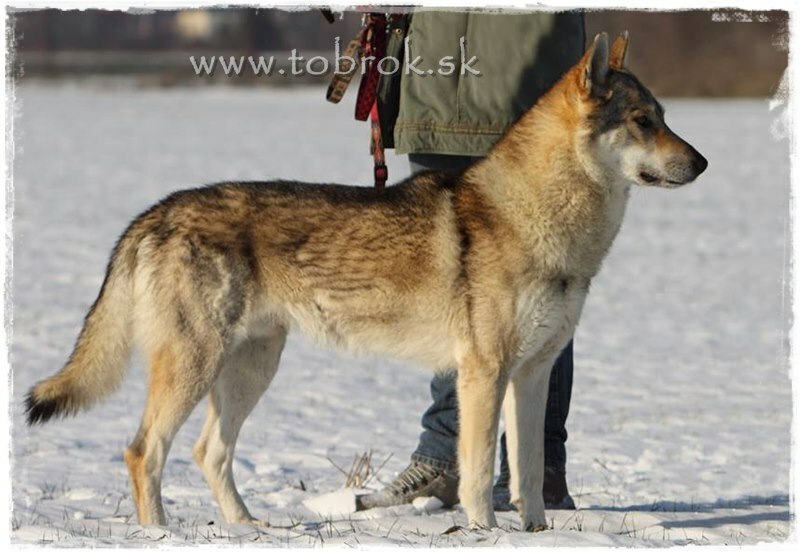 As you know, this is only a "demo", the whole slovak part is much more informative about the breed, so you can use a translator, to read them too. I realy don´t have the knowledge, to translate and update english part as slovakian, sorry for that. But I try to bring the basics for you in the english language. The updates of english part began! 20.10.2012 - There will be no updates for a while :( Only a few reparatures in some parts. I realy need get the slovak part complete and then the english part will be updated too, don´t worry. 09.10.2012 - We are now online and have new address! www.tobrok.sk I´m realy happy!!! There is a huge update of pages, but on slovak part. The english version will be not updated for a while.New photos in our gallery! 04.10.2012 - Our pages must move again. But this time I sayd to myselft enough and we move to a payed domain, that means no such long time shut downs or other "funny" stuff. The name of our pages will be the name of our kennel and at the end the sk, what means Slovakia. We are now working on the administrative things of this moving, so in few days we should be online again. With this moving I say definite goodbye to free hosting. We come with new design of pages, new features and so on. Our Kia (Akia Tawy) has finaly slovak papers and is now in SPKP listed, we try in december Nitra dogshow the begin of slovak junior champion, our next show goal. 22.09.2012 - Changes in graphic in profiles of my wolfies and the main page, more still come. Updated results of dogshows and bonitations in year 2012. Some new videos in our gallery! 20.09.2012 - Until today we had huge server problems, but I hope, now is it OK. I´m sorry about thet. 16.09.2012 - A big thanks goes to everyone who helped me on building my new kennels!!! 13.09.2012 - In last days I have changed my job, so I didnt had so much time for the pages again. well, the visible parts. I have deleted old files and in slovak part are some new texts about wolves. Our pack is doin great. Chasa is in the heat, but Nero is great and listening to my commands :) Bud Akia is a little monster and hurt her ear and leg. We are on antibiotics for a week. The good news is, she is having now 21kg! And she is high as Chasa now. Well, I must say, Chasa is a bit under standard. The kennels are waiting for the final works! So my wolves will soon have a new home. 31.08.2012 - It seems nothing changes in the last time on our pages, but im cleaning the space on server and deleting not used files. One will not believe, how many unuseful things are there :D And what is new by us? Akia is a hyperactive goat :D Realy. She jumps around Nero and Chasa and they only look at her, like she is a lunatic :) Chasa is getting into heat again, so a hard time for Nero is begining and for me by walking them too :/ We are building new kennels for dogs, when they are ready, I will post some photos. Judgment: 7 months old female, middle skellet, excelent movement, correct bite. 18.08.2012 - Photos from bonitation 10.08.2012 and BH exams Hrabušice 12.08.2012. I have updated the potos, there are some new photos from free time. 11.08.2012 - The pages are under construction - design change. The first one is the index page and the second one is down banner. In the same, modern look, will be also the rest changed. 07.08.2012 - The termine callendar is now in left menu for better orientation. 14.07.2012 - Because of the moving and hard life times, we sell our female Chasa spod Ďumbiera. Info per email or cell. 14.07.2012 - We had a great walk today with Ainu Tasha (Melian). And we have great photos too, so there is an uplod in the gallery. Meanwhile my life goes into the normality, so I have more time for webpages. 13.06.2012 - The picture standard is now available, so you can list in it and see, how our CsW can be... There is only the part about standard character missing, but I will upload it very soon. Also the english trasnlation will be corrected soon, so its better for understanding :D The next part, I´m working on is bacisc of CsW breeding. Judgment: its height corresponds to the age, wedge-shaped head, light-colored eye, ear triangular, rectangular format of the body with a straight topline, well carried tail, pear-shaped chest, motion light, spacious, in a standard hair coloring with the development of mask. Judgment: 4,5 months old female, excelent type, nice forming head, great top line, correct chest, correct angulation, excelent moving, excelent handling. 12.05.2012 - Great day! Our Kia got the note Very promissing 1 on Springduodanube in Bratislava. The judge liked her very much and returned to her after judging more times, to say, how beautiful she is! Such a succes for us, I´m so proud of her! She was the star, the people photographed her, pet,... great socialization day too. 11.05.2012 - I´m back after a longer time. 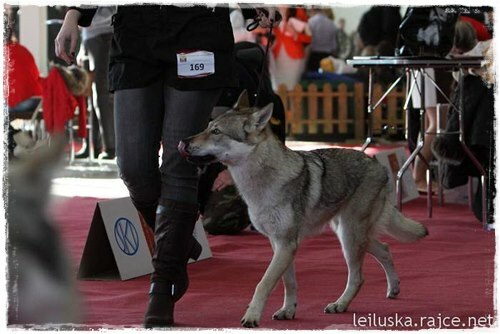 The main work on our new house is done, so I have time for upload again :o) Tomorow you can meet us on Springduodanube dogshow in Bratislava, hall B0, ring 3 is for czechoslovakian wolfdogs reserved. We are in baby class with our Akia Tawy, i believe our first show will be a succes. For a helping hand in the last second I must send a big THANK YOU to my bro! 27.04.2012 - NOTE: There was an hacker attack on cwahi.net servers and all pages were deleted! I have a backup, so I´m uploading the whole sites (more than 4500 files!!!) again. 18.04.2012 - Graphic changes in our termine calendar. Administration of pages: new face of video section, updates in web pages links. 07.04.2012 - Photos from Akias first days by us and spring photos in our gallery. 31.03.2012 - Photos from XVI. Europenian dogshow for CsW, in Italy, Reggio Emilia, 24.03.-25.03.2012 are now updated in our gallery. 29.03.2012 - We are finishing work on our new house, so I spend the most time of day working on it. Although have many of new photos, I do not have the time to upload it in our gallery. Kia is growing every day, we can not even enjoy her puppy size :) She is getting a great colour, the eyes are now more light and getting in light green. 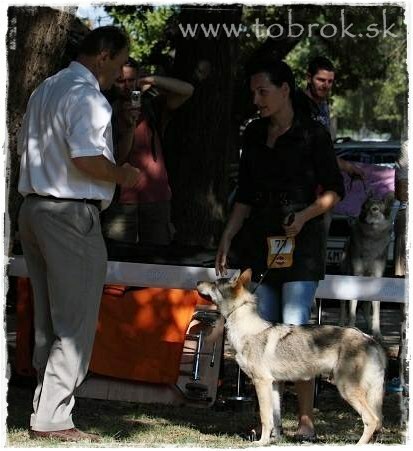 We will see, what the judges will say about her on our premiere dogshow in Bratislava. 17.03.2012 - We absolved with our Kia (Akia Tawy) a socialization walk and meeting in Nové Zámky, Slovakia.. There were also Aimu z Dubničanky, Gaba a Gara z Oravy and beauceron Goran. Photos in our gallery. 13.03.2012 - FINALY WE HAVE INTERNET CONNECTION! As you can see, I updated some news from last days, I have also many photos and videos, but I can update them only if I have internet here, so you must wait some days more. Im changing and editing not only the slovak part, but also the english. I have put Kia into the part about our kennel. I also inserted a gallery of photos - first days of Kia by us. Finaly I have repared the not working fonts in topics. The not internet friendly font was changed. 13.03.2012 - Today the workers was again here, but Kia was in kennel without problems, no crying, only a small howl and she slept the whole time in the kennel with Chasa. Later I took some beautiful photos and videos, I update them when I have connection to internet. Today is also the 5th birthday of our Chasa! I wish her only the best, so she can forgot the bad in her life. I wish her health and many great days spendet with us and our pack. 12.03.2012 - Today, our wolfdogs must be in kennels, because we have workers here, its because of theire safety. Kia was bit crying, but nothing special. After that, we had a small walk on leash in our street, bit socialization for barking dogs, cars,... No fear from Kia. She was great! In the evening we were on a small trip to our friend, who is having dogs and cats, socialization was without problems, Kia give everyone kisses and on the way home, fell asleep. She is learning realy fast, I starting to know some commands - her name, NO, command for emptiing,... I plan in few days starting with basic commands and commands for dogshows- Also I plan some socialization walks, but without Nero or Chasa. I do not want she learns bad acting from them. We plan our first dogshow premiere in May, in Bratislava. For taking a look, we go to Nitra dogshow, both days. 11.03.2012 - Kia sleeps in the night with dogs outside. We recognize, that they love to sleep in front of the door to house, like a pack. They were great the first night, so we had some sleep too. In the morning and during the day, we play together, all of us, run in garden,... Kia is having such great character, just perfect! In the evening we must went to town, go shopping and dogs must stay at home. So the first time, Chasa and Kia were alone in kennel. Both slept together like mom and daughter, without any problems. Im so happy, they are building a pack. 10.03.2012 - Big brother, father and friend of Kia is Nero and she is loving him som much. Chasa is keeping distance, but in the end, the are friends now and is her "mother", when Im not there. Chasa and Kia are in the kennel together, when needet. We have got our buy sell contract, many presents (colar, food, books, T-shirt, toys,...) and great breeding service. So if you are looking for a good kennel, this is the right choice. Kia was sleeping the whole way home, to Nitra, then in our old flat in Nitra under the computer, about 3 hours. After a small walk, we went to Mojmírovce, where she was running in our garden the first time. The first meet with Nero and Chasa was with keeping distance, because both of them were happy of our comming back, but in few minutes they run together without problems. The first night was long, but nothing horrible. Kia slept with us in house, she found a place for sleeping. Was up only 3 times in the night, bit crying, but only a bit. In the morning was everything OK and she run with dogs. 07.03.2012 - Chasa is at the end of heat, so she can run with Nero together (finaly! ), but only in my presence. 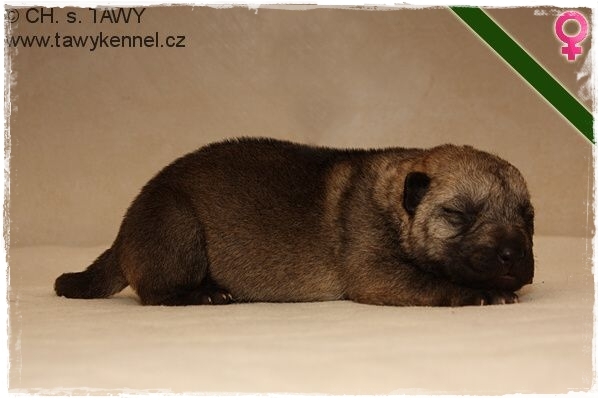 We should have from friday 09.03.2012 our little Akia Tawy (Kia) by us, so we prepare everything for the arrival of our small devil :) We plan many socialization walks and meetings and also the visit of dogshow in Nitra (both days). 28.02.2012 - Chasa is in heat again, so it is bit harder now. They take the separation much better then last time. We spend the most time of week in our new house, where I do not have internet connection yet (but I´m working on it). I use internet only for the most urgent mails, so for the next days, I invite you to read the already translated texts. 28.02.2012 - There will be no updates for some time... Thanks for understanding. 27.02.2012 - New photos from tourist action - Hrb, Slovakia here, in our gallery. 20.02.2012 - New video in gallery - play in snow. 15.02.2012 - LORD RADOV DVOR for sale. Info about him here, the conditions by me. I started to upload some changes from slovak part to english also - the picture definition in standard, it will take some time. 10.02.2012 - There will be changes in history, now only in slovak, soon in english too. 09.02.2012 - Im preparing new style of text about the standard in pictures. Now only in slovak available. 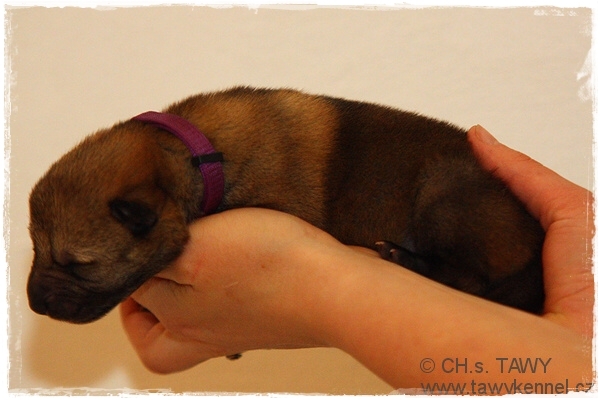 05.02.2012 - Our little Akia Tawy is 2 weeks old now :) She is now with blue collar. 30.01.2012 - New photos from dogshow in Trenčín Wintershow Trenčín. 27.01.2012 - We've spent a beautiful sunny day! I spent it with take photos of my wolfies, so again we have some new photos. Furthermore, we worked with Chasa on preparing for bonitation - to measure the high in withers. And finally, we were with Nero on a short walk - socialization for Chasa, where I met and talked two girls who went around, I asked them to pet Chasa a bit. Chasa, my little girl, surprised me, accepted the traits, eat them and made great progress. Although it still is not as I would like, but we are approaching and I am proud of her. She deserved great reward in the form yummies and words of praise, proper pet and love and then dinner in the form of her favorite chicken meat and bones. 26.01.2012 - The time of loosing coat is here... Coat everywhere! Like in wild wild west, the bushes in the prarie. The hair on jeans, on arms, on jackets... Well, this is, when our WD´s loose their coat. And it will be more "funny" in the begin of summer. 23.01.2012 - One more video of father from our Chasa, Iran Zemplínska oblasť, who is living in Brasil. Our little beauty is growing well in Tawy kennel. 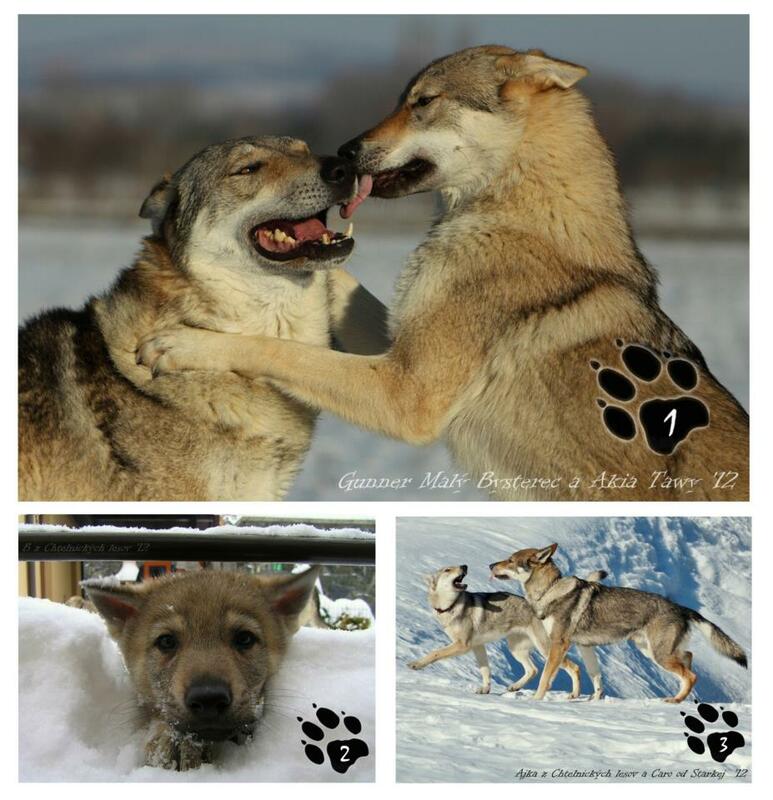 If you are interested in some informations about wolfdogs, behavior, training, education,.. and you did not find here the part, please, feel free to send me a mail with your request or leave a message in our guestbook. 22.01.2012 - New photo album - photos from winter, finaly, also we have a bit of snow. New photos of Chasa in her personal photo album. And one short video of Chasa and Nero by a play. Ambra Tajemný přelud and Bajkal Tajomný tulák. She was born on 4:22, as third one, full of life. We still choose the name. 13.01.2012 - New part - Socialization. Hope you can read it, I know, my english isn´t so good. But the basics can be understand :) Do you like it here? Let us know! Use our guest book! 11.01.2012 - The next part for translating is Education - the right behaving. New part - Basics of education. New part - Traveling with wolfdog. New part - Walking a wolfdog. 10.01.2012 - New part - Types of food for dogs. New part - Canned food. New part - Supplements for dog food. New part - Cooked food. New part - Raw food - BARF. With this translation is the part "Nutrition" completed. The next part for translating is Education - the right behaving. 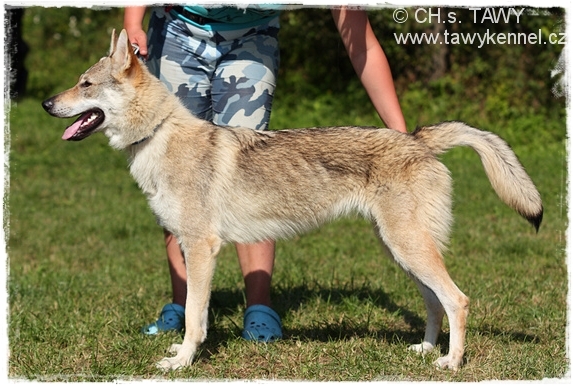 06.01.2012 - New part - Buy a wolfdog only with pedigree. New part - Home for a wolfdog. New part - Kennel and dog shed for wolfdogs. New part - Pickup day of a wolfdog puppy. With this translation is the part "Puppy" completed. The next part I will translate soon is nutrition of a wolfdog. New part - How to feed a wolfdog. New part - Feeding of wolfdog by age. Do you like it here? Let us know! Use our guest book! 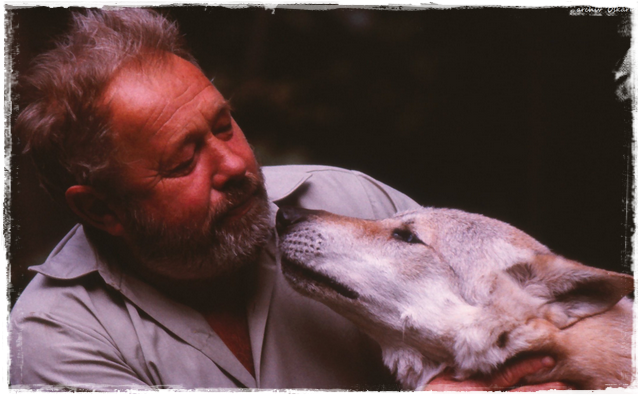 05.01.2012 - New part - History of Czechoslovakian wolfdogs. 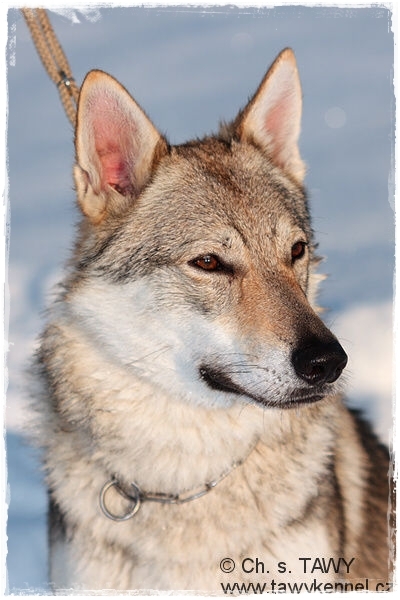 New part - Czechoslovakian wolfdog and beginer. New part - Before you buy a wolfdog. Plus Who is a good owner for wolfdog, plus Questions for future owners. With this translation is the part "Breed" completed. And I start translating the part everything aout a puppy. 04.01.2012 - So, after a longer time, I must post something not so good. This is the first time after our moving, when the servers are down, so our pages are not online. Im realy sorry for that, because Im doin´ so many updates for you. Most of them in slovak language, but you can use always the google translator to read them. Sure, I have something also for you, in english. Soon are translates here. 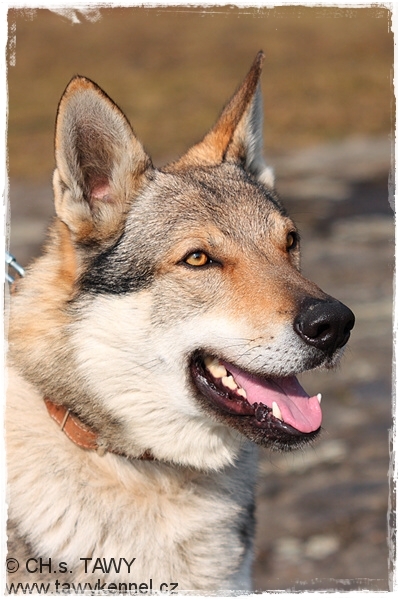 New article about types of wolfdogs by country. Wolfhybrids and wolflike breeds in world. New photos from tourist action in our gallery - Vápeč, Slovakia 31.12.2011. New part - Faults of exterior. 01.01.2012 - New archive created for year 2011. 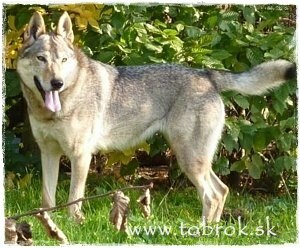 Pages www.tobrok.sk are privately owned by kennel Tobrok FCI! Have nothing to do with the club of breeders CsW SR. Contents of this site and all its components (including images, text, page branching and design) is copyrighted. Texts that appear on this page are written according to the literature in the "web, books, others' and by me. Are subject to copyright, the copy and the publication of the source is acknowledged! On these pages are the photographs, which the author is not me. By any such photo is a link from which way it comes, if it is referred to as the source of the Internet, although the exact author is unknown.